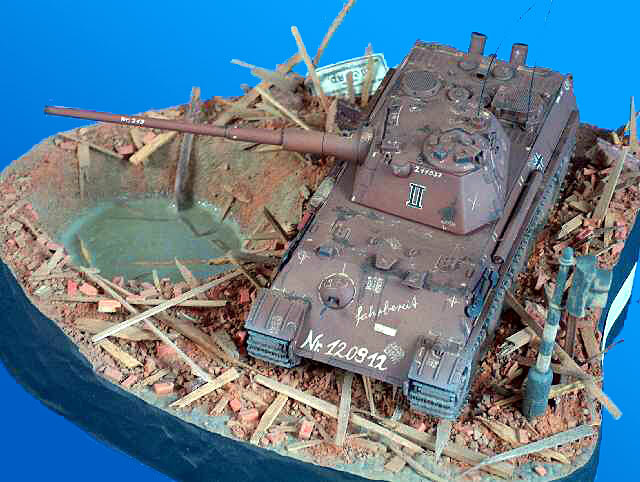 My diorama shows the 1/35 scale Dragon Panther II in 1/35 scale, together with traffic signals from Verlinden. The scene is of course hypothetical and set in Berlin during the spring of 1945. 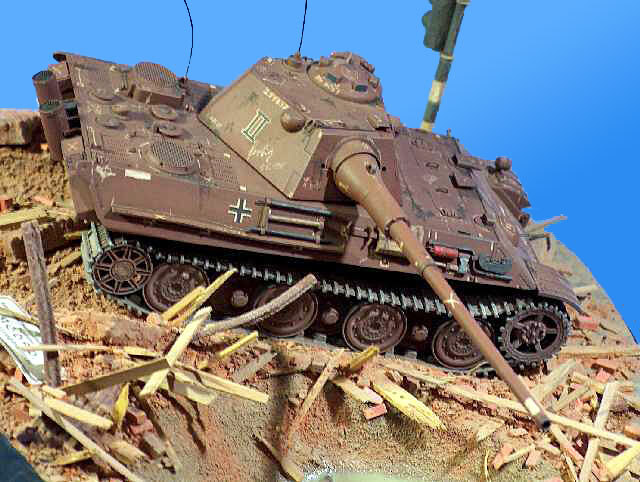 The basic idea was to show a Panther II that is rushed directly from the factory gates into the final struggle for the perishing Reich. I finished the model in a red primer scheme with a lot of assembly line graffiti.